North Carolina doesn’t seem like the celestial type of place but it does contain at least one luminary band. Center of the Sun is a dreamy pop-rock band that carries a bit of grit & gloom for that added dose of heaviness. Ally Hoffman’s vocals are a wonderful addition to the fuzzy guitars and solid drum work. 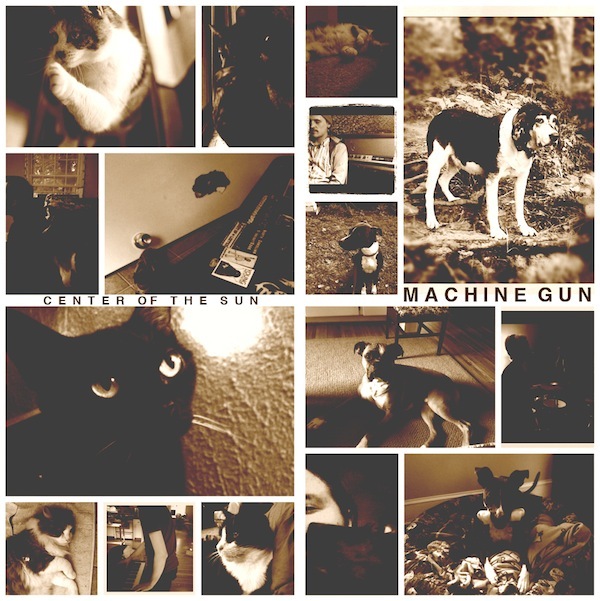 Upon first listen, Machine Gun sounds reminiscent of early 90s alternative but with modern flair. Vaguely like The Cranberries but with a style all their own. 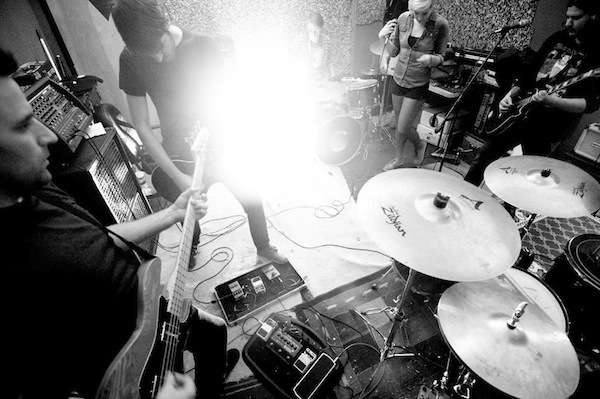 We look forward to hearing more material from them in 2013 and we highly recommend you pick up their album, Machine Gun. It is an absolute steal at $1! TheKnifeFight: With your current release, Machine Gun, how hard was it as a band to decide on album art, track titles, and the ever important meal decisions during recording breaks? Center of the Sun: Those are all of our dogs and cats on the cover of the album. We are all animal people, so it was an obvious and easy choice. As far as track titles go, Ally prefers single words and using titles that don’t necessarily carry a phrase from the song. “And I Am Left With Ludwig” and “Turnabout” both reference poems written by Bukowski. Some of the tracks were titled using synonyms from random words in the songs. We do all of our recording at my studio in Charlotte (Birthwave Studio) and our recording schedule while making “Machine Gun” wasn’t very typical. We typically knocked stuff out in 3-4 hour blocks so there was really no need to take any meal breaks. Drums were done in a few hours on a Saturday afternoon. Bass guitar was done in a couple hours another day. Guitars were spread out over a few sessions on evenings after I got out of work. Ally’s vocals stretched out over 5 or 6 sessions on week nights after we were done with work. TKF: What’s the scene like in North Carolina? COTS: Diverse. North Carolina can often be overlooked but there is something here for everyone. Even with diversity everything is still very tight-knit. TKF: Do you have any pre-show rituals? COTS: Drinking. Ally has been enjoying some pop music lately (mainly Taylor Swift). TKF: If you were to somehow transported into another realm where you met your exact copy of band but they had one defining feature that made them the “evil” one, what would that feature be? TKF: What one word best describes the band?